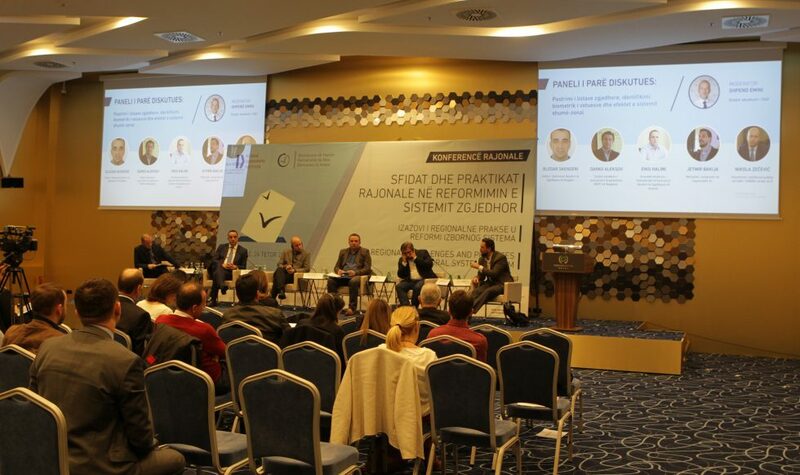 ”Regional Challenges and Practices in Electoral System Reform” was the topic of the regional conference organized by KDI, which gathered in Pristina the representatives of institutions, civil society and media from the country and the region to share their experiences on this issue. This conference was opened by the opening remarks delivered by KDI Executive Director, Ismet Kryeziu, the Ambassador of the OSCE Mission in Kosovo, Jan Braathu, as well as the President of the Central Election Commission, Valdete Daka, which you can find here. Further, the conference held two thematic sessions. During the first, it was discussed in detail on the voter list cleaning, biometric voter identification and the effects of the multi-zone system. You can find the full discussion here. In the second session, the issue of public information campaigns and the influence of ‘fake news’ in the elections were dealt with. You can find the full discussion here. Also, the findings of the KDI report ”Every vote counts”, which addresses the issue of electoral reform and invalid ballots in Kosovo, were revealed, whereas you can find the report here.